Florida Cracker and Pineywoods cattle are hardy creatures that make excellent low-input, grassfed livestock. On September 25, 1493, Christopher Columbus’ fleet of 17 ships departed Cadiz harbor in Spain for Hispañola, the island that now comprises Haiti and the Dominican Republic. At the Canary Islands, they took on additional calves. When they walked down the gang plank at Mole St. Nicholas, they were the first cattle to set hoof in the New World. By 1512, stock-raising was well established throughout the West Indies. However, it wasn’t until 1521, when Juan Ponce de León, with two ships of colonists and a complement of livestock including seven head of Andalusian cattle, landed on the southeast coast of Florida, that cattle first touched North American soil in what is now the United States. The Calusa tribe of Native Americans attacked the party and Ponce de León took a poisoned arrow to the shoulder. His ships returned to Cuba, leaving the livestock behind. Many of the heritage livestock breeds we spotlight in Hobby Farms—Pineywoods and Florida Cracker cattle included—are referred to as “landrace” breeds. Landrace breeds are what their name suggests: races adapted to thrive in a specific land or locality, like Pineywoods cattle and Spanish goats in hot and humid regions of the South. Landrace breeds are often divided into individual strains further adapted to a family or group’s intended use, such as the Griffen strain of dairy-type Pineywoods cattle developed by William Griffen in southern Mississippi and the meaty, cashmere-bearing Syfan line of Spanish goats shaped by Tom and Meta Syfan in Mountain Home, Texas. Landrace breeds aren’t bred for uniformity in the manner of standardized breeds; they’re consistent enough to be recognized as distinct populations, but they vary in appearance more widely than individuals of standard breeds. Most landrace breeds evolved in isolated, sometimes compromised environments outside the mainstream production of their species. Within the breed, human input into selection is frequently minimal. More Spaniards followed. In 1540, Don Diego Maldonado brought large herds of cattle and horses to the Pensacola Bay area to supply Hernando de Soto’s ongoing exploration of the Spanish Southeast. He failed to make contact with de Soto’s expedition and many animals were left to run wild or given to native tribes. Historians believe the Spanish brought fewer than 300 cattle to the New World. The cattle they brought, however, were tough, rangy animals noted for their wild coloration, hardiness, longevity, long horns and leanness. These multiplied on ranches and in the wild, in very short order. Known as criollos (Spanish cattle born in the New World), they became the Corriente of Mexico, Texas Longhorns and two landrace breeds in the Southeast: Florida Cracker cattle and the Pineywoods cattle of Mississippi, Alabama and southern Georgia. Pineywoods and Florida Cracker cattle resemble one another in numerous ways. They are small cattle, most falling in the 600- to 1,000-pound range, with light to moderately heavy bone and muscling. Adults have short, shiny hair coats during the summer months. Both breeds sometimes have “guinea” or dwarf cattle, much smaller versions with shorter heads and shorter legs. They exist in a huge array of solid and spotted colors, including Longhorn-type speckles, linebacks and roans. Most are horned; horn styles vary widely from small, Jersey-like curved horns to large, up- and back-swept types. They’re long-lived, prolific, great mothers and remarkably easy keepers, quite able to thrive on mediocre pasture without grain. Both evolved in the deep South where they’ve been known by names as diverse as “woods,” “brush,” “scrub” and Florida native cattle. What is the difference between Pineywoods and Florida Cracker cattle? “Both Florida Cracker cattle and Pineywoods cattle are unique, Spanish-based, heritage breeds,” says Steven Monroe, manager of the Florida Department of Agriculture’s herds of Florida Cracker cattle. “Both breeds have been and continue on a parallel course. They include unique strains of cattle that have been maintained independently of each other for many generations. “Any of the separate strains of Florida Cracker cattle would fit the breed standards of the Pineywoods cattle. This would likely be true of Spanish-type cattle found throughout the Americas, if they could be found. “The same can be said for Pineywoods cattle. The foundation cattle for the Florida Cracker Cattle Breed Registry were evaluated and selected in 1989 through 1991 from known herds that had intentionally been kept free of influence from introduction of other breeds. “Only cattle considered to be the purest representatives of Florida’s range cattle were included in the foundation registry. University of Florida Animal Science Dept. The Barnes strain is also recognized by the Pineywoods Cattle Registry and Breeders Association. Kept by the Barnes family near Florala, Ala., a hop, skip and jump north of the Florida panhandle, they once numbered as many as 500 head. As was true of free-range livestock in earlier days, the cattle ranged widely and received little care; they were expected to make their own way. Barnes cattle varied widely in size, coloration (“white, blue-sided, red-sided, red-pied, black-pied, strawberry-speckled, and solid colored,” says W. H. Barnes, who still keeps these cattle on the Barnes family farm) and horn type; some were polled, but most had horns. The family consistently culled any cow that failed to calve annually (one Barnes cow calved at 31 years of age), and no bulls bred outside the herd were used since 1910. When asked about the Pineywoods cattle raised by his family at Cowpen Creek Farm in Poplarville, Miss., Jess Brown, president of the Pineywoods Cattle Registry and Breeders Association, says, “Milk and meat, they fed my family for over six generations. They’re gentle and easy to handle so they make good oxen; my great-grandpa had 25 yoke of them to help log the virgin ‘yeller’ pine forests of south Mississippi. That last point, in a nutshell, is why Spanish cattle survived in the Southeast for so long. Heat and humidity, coupled with parasites and diseases endemic to the American Southeast, quickly eliminated introduced cattle for hundreds of years. Native cattle exposed as calves to diseases like babesiosis and anaplasmosis developed immunity while imports succumbed. It wasn’t until heat- and disease-resistant Zebu (Brahman) cattle arrived in the 1930s that native Spanish cattle started to falter. Crossbred calves sired by Zebu bulls thrived and rapidly grew to market size, so purebred Spanish populations declined until by the 1970s very few Florida Cracker and Pineywood cattle remained. Fortunately, a few intrepid farm families held onto their hardy cattle, never introducing “new, improved blood.” Thanks to their foresight, the breeds survived. Now they’re making slow-but-steady comebacks. During the late 1500s, Jesuit and Franciscan friars established a series of missions in north and north-central Florida; they maintained extensive herds of livestock, making them the first cattle ranches in North America. Private ranches emerged in the 17th century. During the early 1700s, Spanish census takers counted 20,000 head of cattle on the ranches alone (herds owned by the missions, those kept by Native tribes and feral cattle weren’t counted). Homesteaders of northern-European descent began settling Florida in the 1800s. Wild native cattle were theirs for the taking. Sometimes herds were immense. A Polk County tax census dated 1862 indicates the number of cattle owned by landholders in this mid-state county: N. R. Raulerson owned 2,515 head of native cattle; William Holden, 1,800; W. H. Willingham, 1,550 head. Staggering numbers were possible because the cattle ranged wild and virtually took care of themselves. During the American Civil War, Florida supplied the Confederacy with an estimated 50,000 head of beef. After the war, while the rest of the South lie in ruins, Florida established a viable economy based on cattle sales to Cuba. Cowboys called “crackers,” so named because of the 12-foot bullwhips they cracked to keep their charges moving, drove cattle from points of origin to the docks of Tampa, Manatee and Punta Rassa; in a 10-year period from 1868 to 1878, 1.6 million head of cattle boarded ships bound for Cuba, Nassau and Key West. Cracker cowboys also moved herds along old military roads to Gainesville, then north to rail lines in Atlanta and Savannah. The drive from central Florida took 45 days, and the cattle fed themselves along the route. The introduction of European beef and dairy bulls in the late 1800s had little impact on Florida’s stalwart Spanish cattle, primarily because they rarely lived long enough to reproduce. Zebus were another story. By the 1960s when only a few hundred pure Spanish cattle remained, the Florida Department of Agriculture and Consumer Services stepped in. In 1970, Zona Bass and Zetta Hunt, daughters of pioneer cattleman James Durrance, donated five purebred heifers and a bull from their father’s herd, on behalf of the Florida Cattleman’s Association. The Department of Agriculture kept them at the Agricultural Complex at Tallahassee, eventually establishing a herd at the Withlacoochee State Forest. Herds based on Durrance and additional old bloodlines were sent to Lake Kissimmee State Park and Paines Prairie State Park during the 1970s. Meanwhile, a few old families kept privately owned herds. In 1985, a selection and screening program was developed based on evaluations by a panel of three approved cattlemen who compared cattle from old family lines against archival photographs of Florida native cattle. They eliminated individuals with atypical characteristics or coloration. The Florida Cracker Cattle Association and its sister organization, the Florida Cracker Horse Association, were incorporated in 1988. In 1989, the Florida Department of Agriculture and the cattle association hosted the first Florida Cracker Cattle Association Cracker Gatherin’ at the Withlacoochee State Forest near Brooksville, Fla. The 2008 event takes place November 7 and 8 and includes public auctions of registered Florida Cracker cattle and horses from private and state-owned herds. Pineywoods cattle evolved further north in the longleaf pine forests from which they take their name. The vast Piney Woods region of the American Southeast once stretched from eastern Texas through Louisiana, Mississippi and Alabama to southern Georgia and northernmost Florida, carpeting more than 70 million acres with virgin pine, scrub oak, hickory and prickly pear cactus. When European settlers began homesteading the area in the 1800s, old-growth pines so thick it took 20 men stretched hand-to-hand to measure their girth towered 150 feet into the air. Pine thrived in the sandy soil of the Pine Belt, but the soil wasn’t suitable for growing cotton. So, instead of razing the land as occurred in more fertile regions of the South, homesteaders claimed their home sites, built cabins with the logs they felled and carved out a hard, subsistence life. To do so, they needed oxen for draft power, milk cows, hides for leather and beef to fill the family larder. Wild cow-catching provided the cattle for their needs. Separate strains evolved on family farms in the region, each selected for slightly different qualities. Broadus cattle were medium-sized and blocky; the Ezell and Dedeaux cattle were chunky and short. Other Pineywoods, among them representatives of the Ladiner and Hickman strains, were tall and rangy cattle. Today, the Pineywoods Cattle Registry and Breeders Association recognizes 20 separate family or regional strains, five of which are deemed extinct. As in Florida, most hardy Pineywood strains were lost due to outcrossing with non-native cattle during the mid- to late 20th century. The Pineywood Cattle Registry and Breeders Association was chartered in 1999 to preserve and promote the remnants of this worthwhile, Southern heritage breed. Pineywoods and Florida Cracker cattle are both listed as Critical on the American Livestock Breeds Conservancy’s Conservation Priority List and Slow Foods USA’s Ark of Taste. Additional dedicated conservators are sorely needed. 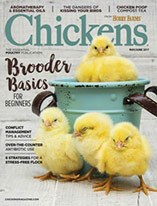 Jess Brown offers advice to readers interested in keeping these breeds: “Do your homework. Research. 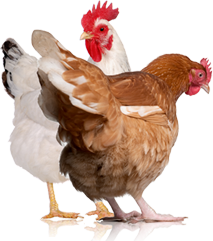 Talk with breeders and have a farm plan to fit your particular farm. Try them for dairying, beef production, and as oxen for logging and plowing. “These cattle helped my family survive for generations and there’s no reason they can’t still help us survive today, when grain and fuel prices are having such an economic impact on farm production. “My family didn’t call Pineywoods cattle ‘Rakestraws’ for nothing—it’s because they survived the winter months by raking the longleaf pine straw back with their horns and muzzles to find grass that was protected from the frost. “On the open range they wintered on cane-filled reed brakes and acorns. They’re hardy and productive. Florida Cracker and Pineywoods cattle are arguably the ideal breeds for low-input, grass-based farming in the South—and they need our help to survive. If you’re casting about for a true-blue, American heritage breed for your farm, take these great little cattle to heart. 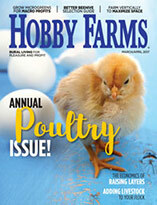 This article was first published in the November/December 2008 Hobby Farms.